Last week I wore one of my favorite maxi dresses, this printed silk Harlyn beauty. 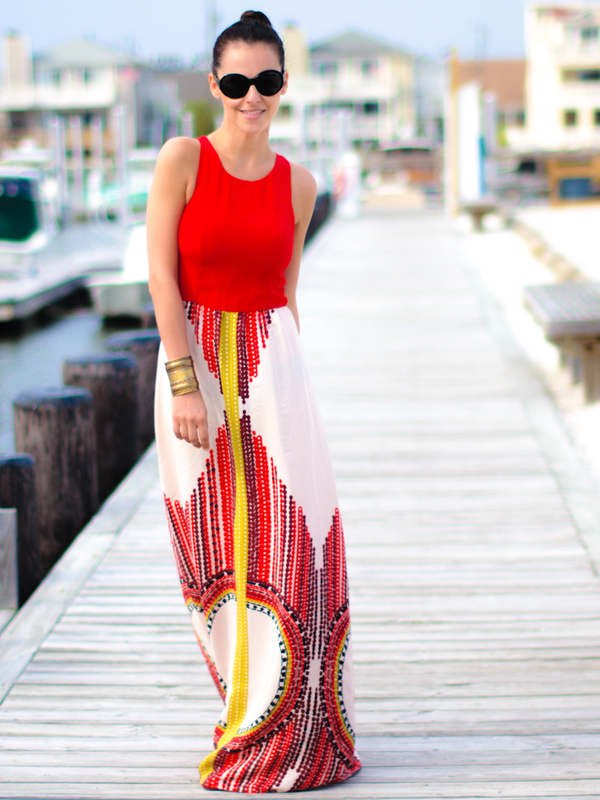 Maxi dress= Maxim effect+ Maxim comfort at the beach! Beautiful colors, great sunnies & sandals! Fantastic look, the dress is simply Marvellous!! Stunning dress ! love it ! Gorgeous dress, you look breathtaking!! Nice dress, you don’t have any problem to walk with? I love the skirt! Super pretty! Love your dress! You look awesome! Loving the pop of color in the top portion of the dress! Such a gorgeous statement piece! You look amazing! Way beyond perfect babe ! What a stunning dress! This print is so beautiful! That dress is so beautiful! Love these shots on the pier, so fun! Gorgeous dress and your sandals are beautiful. such a gorgeous dress! love love it! Such a pretty dress! I love the print. This dress has a truly beautiful pattern! And I really like red on you dear Veronica!